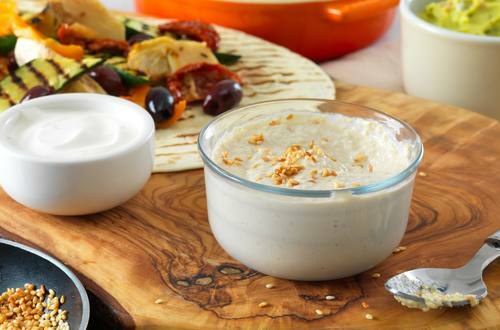 Try this great Greek-inspired Tahini dip recipe. The perfect balance between nutty and creamy with rich Hellmann's® or Best Foods® Real Mayonnaise and toasted sesame seeds. 1 Process all ingredients in blender or food processor until mixture forms a paste. Garnish, if desired, with additional toasted sesame seeds. Use as a dip, in a pita wrap or even on a grilled burger.